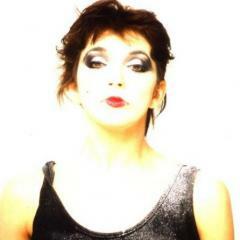 To use Kate Bush Forum you need to sign-up first, otherwise there is nothing here to see. There are lots of great people here who all share a love of Kate, so if you are a fan of Kate Bush, or just not too sure yet, you will feel most welcome if you sign up to our community. Alan, are you alright? I hope you are not feeling unhappy about Kates clarification, as you may or may not be aware we try and avoid political discussion on the forum because it can get heated. However today was a bit different because it was Kate herself who brought the subject up. Whatevers going on for you right now I want you to know we value your contribution to the forum, And look forward to seeing you return one day soon. Got Something to share about Kate? Which Kate Song are you "IN" right now?